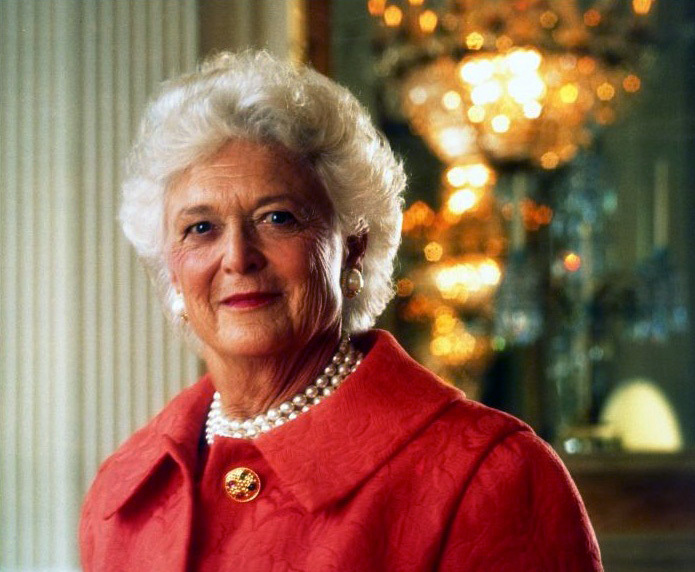 In the article Former U.S. First Lady And Literacy Champion, Barbara Bush died at age 92 , Diane Christiansen explains that Barbara Bush died. I will be writing the important things that I think about the article. “On Saturday, April 22, over 1000 mourners, including four of the five living former presidents, from across the country, gathered at St. Martin’s Episcopal Church, in Houston, Texas to honor and remember Barbara Bush.” She “suffered from a series of health complications. I think that it is sad that Barbara Bush died. I really liked your blog and how you used pictures. I really liked your article, you did a good job. I also really liked that you explained how she was a good person and that she is remembered. Great job! I can not wait to read your next current event. I think it was smart to choose this article. It is very sad that Barbara Bush died. Wow Finny great article I think you did an amazing job on writing and in your flipgrid.I also want to know more about her. I loved your post.It made me shed tears.I think your picture goes really well with your post.I think your post is very organized and well written. I think that you chose a good article.I think that it is really sad that Barbara Bush died. My great grandma died at 99 years old! I hope that a lot of people live to that old age. I like the picture that you put on you post!